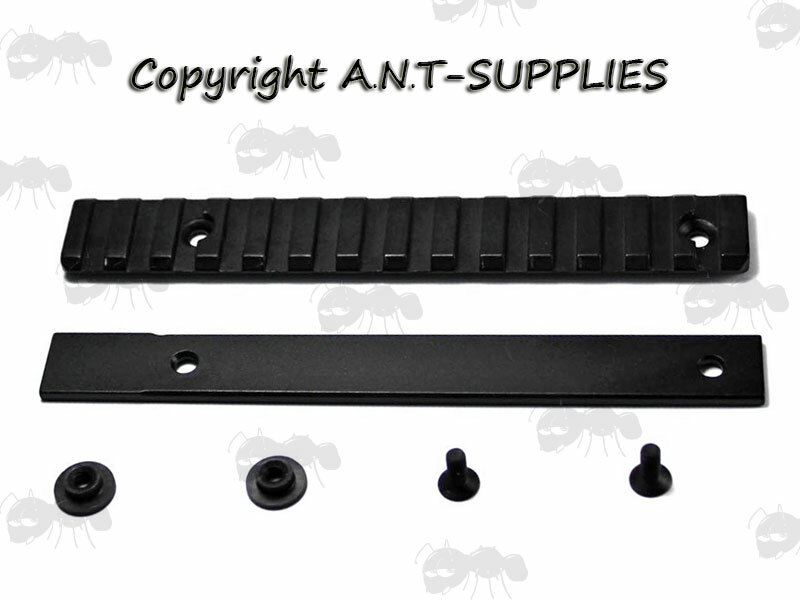 Easy and fast to install using the fixings bolts provided. Allows for the mounting of various devices, such as bipods, vertical grips, tactical lights, lasers etc. 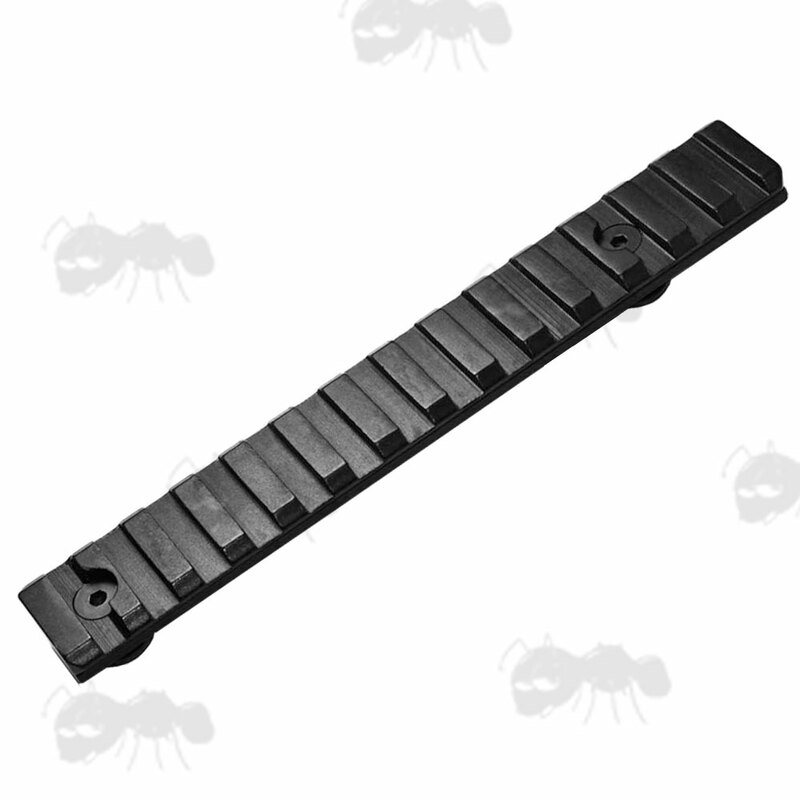 Also available ~ G36 rails and MOE rails. Next > Long base handguard rail. The flanged washers are 12mm wide with 7.5mm wide main sections and 4mm holes. Comes with two fixing bolts and allen key. 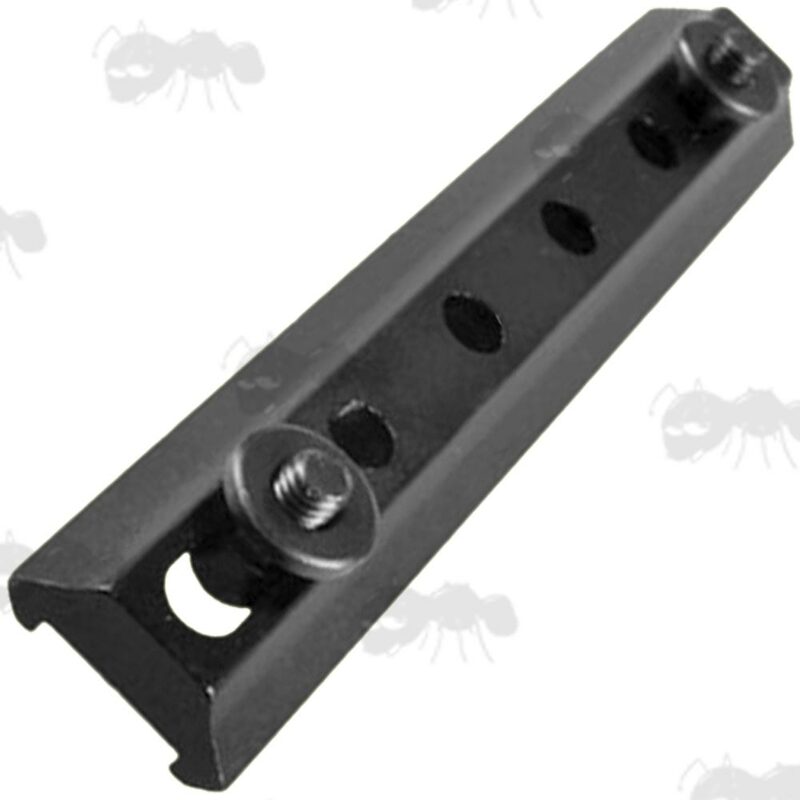 Fits into pre-drilled receivers on handguards of M16's/M15's/M4's and the like. To allow for the mounting of various devices, such as handles, scopes, tactical lights, red dots, lasers etc. Easy and fast to install using the two countersink nuts provided. Two rails can be fitted if space allows. Can be adapted to mount anywhere you have need of a rail. With extra holes for more fixing options. Not compatible with our vertical grip bipods. 145mm long with 105mm distance between the bolt holes (centre to centre). These are compatible with our vertical grip bipods. Take apart into two pieces, then put picatinny rail onto the bottom of front handguard, put the nut and the other rail piece into the handguard to attach. If you see this message, it means that your browser doesn't support iframes or they are disabled. 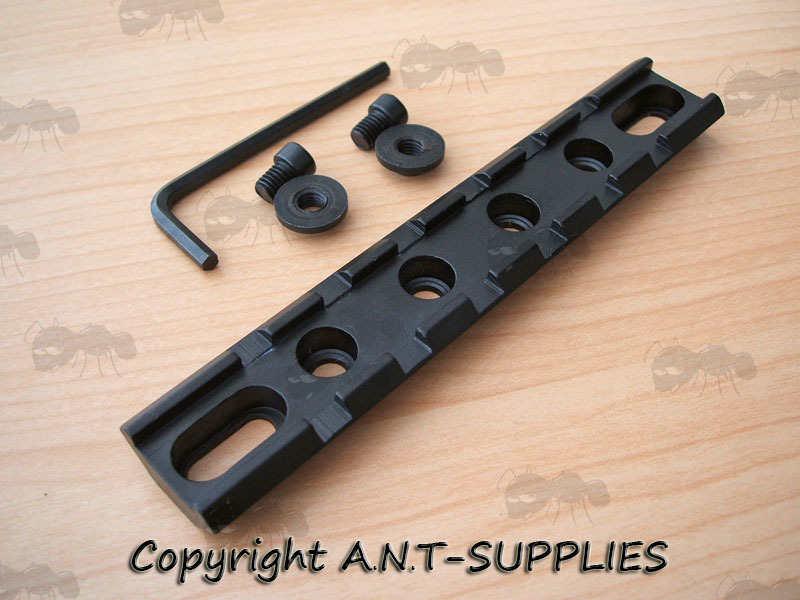 You can access the information shown in this frame here: Airsoft Accessories Product Scroller.